Just hope it made you smile. Have a lovely weekend! 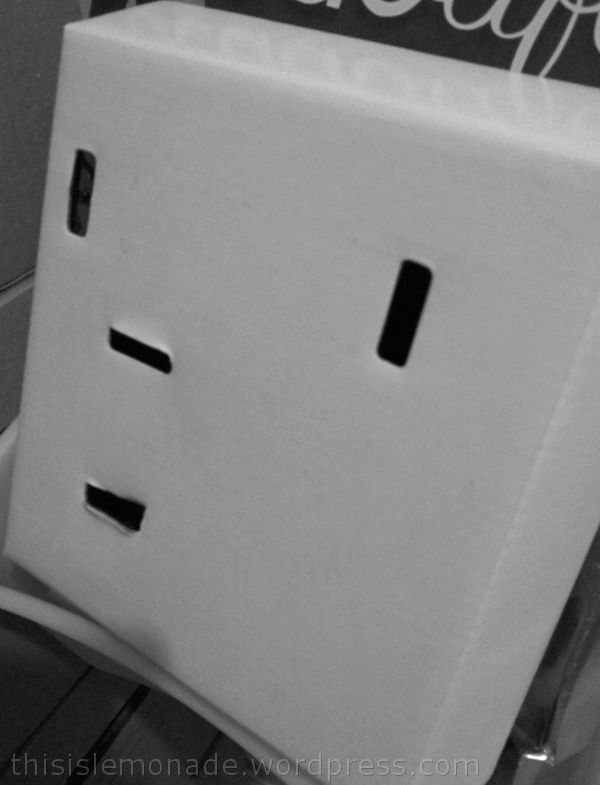 Categories: Finally Friday, Frivolous Fridays, LOL | Tags: cardboard, faces, fun, packaging, photo | Permalink. Many apologies to any sufferers of arachnophobia out there reading this. I am not a huge fan of spiders, but I usually only panic if one drops down in front of my face or onto my bed. I feel uncomfortable finding spiders in places I feel they don’t belong – like in the bathtub – but I’m perfectly ok with them outside. A bit like how I love wildflowers in a meadow of tall grasses, but I know people will disapprove if I allow my own patch of ‘green’ to become so unkempt! Out of all the small multiple-legged creatures on this beautiful planet, spiders are my least un-favourite – here in the UK at least, where wild mushrooms are generally more dangerous (thankfully)! Spiders are industrious and solitary (unlike ants – who are industrious, but scarily overwhelming if they bring their friends), they are clean (unlike my pet hate, the fly), they can be intricately and wondrously patterned (see below) and I actually find them quite fascinating. At my last place of abode, I happily shared all my window sills (there were a grand total of two) with these friendly jumping spiders (you can click through if you like, but I’ll limit the visual assault to one). As long as they didn’t stray onto my bed, I tolerated them as they also didn’t seem to weave webs anywhere, they just seemed to enjoy bungee jumping. I was struggling with today’s theme of faces until I found this beauty weaving its magic over a car side mirror in the brilliant August sunshine. In fact, the August sunshine (yes, I said it again because how often do we get to say August sunshine?) I could not see the screen of my camera as I took the photo the SUNSHINE was so bright, so I’m pretty chuffed with the result! 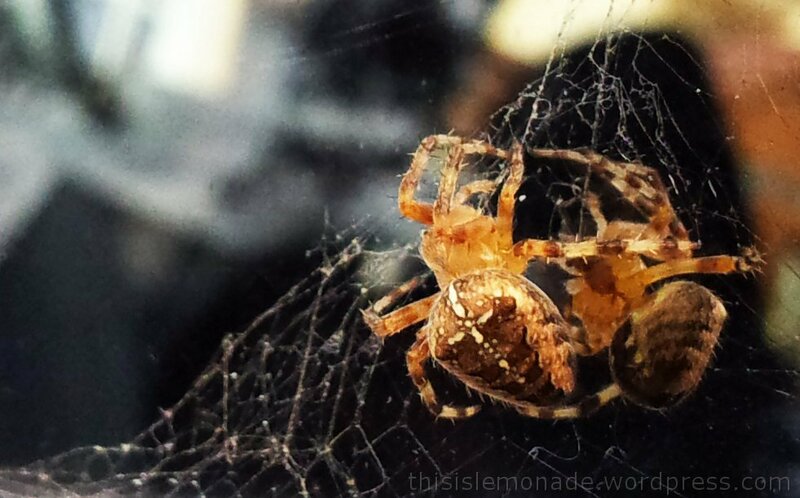 Categories: LEMONADE | Tags: #photoadayaug, arachnophobia, blogging, faces, inspiration, life, mushrooms, photography, spider | Permalink.